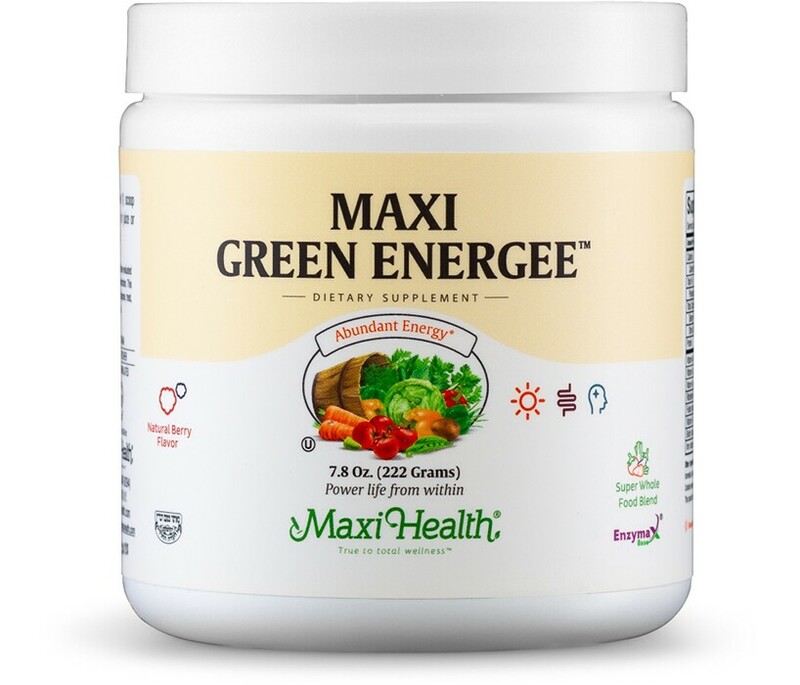 The Super Green Foods contained in Maxi Green Energee powder are nutritious whole food supplements derived from green plants, cereal grasses, and micro algae. They contain high concentrations of chlorophyll and are loaded with natural vitamins, minerals, amino acids and enzymes. Green food concentrates are real food, safe and natural. They are known as super foods because they are nutrient dense when compared to other foods. These super green foods contain phytonutrients and phytochemicals to enhance energy and provide exceptional nutrition. Maxi Green Energee™ capsules include cereal grasses such as wheat grass, barley grass, and alfalfa. All of which are organically grown without herbicides or pesticides in rich soil. We use cereal grasses which are planted in the fall and grown through the winter. They are nutritionally superior because these grasses grow slowly and develop naturally in an ideal climate. Micro algae are the most primitive form of plants, growing in aqueous suspension and operating as efficient converters of solar energy because of their simple cellular structure. The two types of micro algae are chlorella and spirulina. Both are anti oxidants. Spirulina is a food grade algae. It’s a whole food rich in minerals, vitamins, proteins, essential amino acids and essential fatty acids, including iron, and beta-carotene. Maxi-Health Research® only uses Earthrise® Spirulina known for its high quality and low heavy metal content. Try gluten free Maxi Green Energee™ capsules. Take one (1) scoop (included) twice daily in juice or water, or as directed. Other Ingredients: Berry ﬂavor, vanilla ﬂavor, maltodextrin, silicon dioxide, and Enzymax (calcium carbonate, bromelain, papain, lipase, amylase, protease, silica). Contains soybeans and wheat grass (not grain). I had a severe lack of energy after having my second child. A nutritionist suggested that I take a green powder and the health food store recommended Maxi Health Green Energy. Now I am full of energy. I am satisfied to the utmost. Thanks! We have had to battle fatigue but we are more energetic now thanks to green energy.